Grammy Award host James Corden says Sunday’s show will carve out some time to allow artists to express solidarity with the “Me Too” and Times Up movements. Corden, returning for his second stint as host, will do his own part to support victims of sexual misconduct — he’ll wear a white rose. In an interview with The Associated Press on Thursday, the late night talk host said he didn’t know about the new initiative but supported it. The push was launched late Wednesday when women music executives sent an email urging people to wear a white rose at the show. “Of course. Yes,” Corden said when asked if he would wear a white rose. The Time’s Up organization hopes to support women who raise sexual misconduct complaints and was formed by key Hollywood celebrities and executives including Reese Witherspoon, Shonda Rhimes and America Ferrera. Most stars wore black and a Time’s Up pin in support of the movement at the Golden Globes earlier this month. 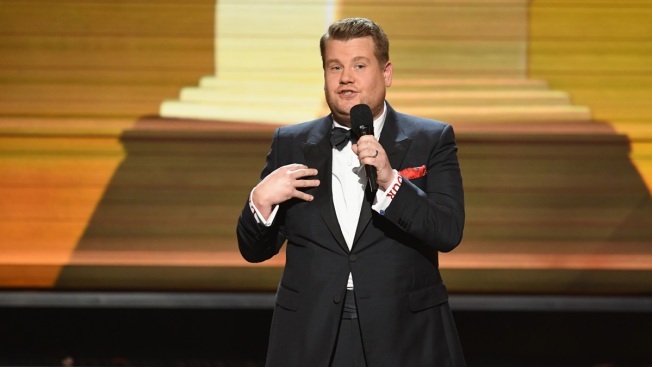 Corden said balancing the Grammys with fun music and serious issues like the “Me Too” movement is all about timing. He said the show will feature an emotional performance showing solidarity with the “Me Too” and Times Up. Though he didn’t give too many details, he’s most likely referring to Kesha, the pop singer who has been at war with her former mentor and producer Dr. Luke, who she claimed raped and drugged her. Dr. Luke has denied the allegations. Kesha returned to music last year without Dr. Luke and earned praise for her album, “Rainbow,” which includes songs about her pain and overcoming hardships. She earned two Grammy nominations for the project. “I think it’s going to be a moving movement,” Corden said. Singers Halsey and Dua Lipa, as well as Grammy-nominated rapper Raspody, were some of the first to say they would wear white roses Sunday. Recording Academy CEO Neil Portnow didn’t confirm he would wear a white rose when he was asked Thursday, but said he was also learning about the new movement, and added that he supports similar causes. The 60th annual Grammy Awards will air live on CBS from Madison Square Garden in New York City.